Bruce Springsteen recalls the genesis of “The River” (1980) in THE TIES THAT BIND. Photo courtesy HBO. 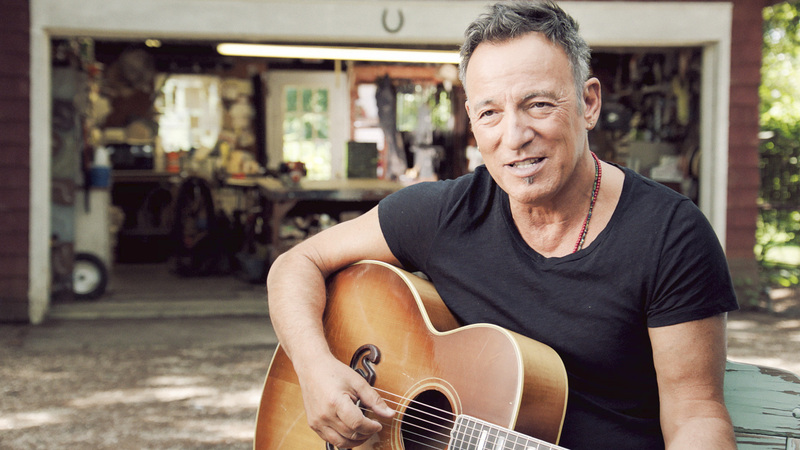 If you’ve had your fill of turkey, touchdowns and tackling bargains at Target, and you’re a Bruce Springsteen fan, you won’t want to miss the HBO debut of The Ties that Bind tonight, Friday, November 27, 2015 (9:00 – 10:00 p.m.). Check listings for repeat playdates on HBO in the weeks ahead, as well as its upcoming availability on HBO GO and HBO NOW. 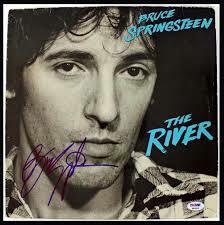 Springsteen’s reflections on the roadblocks he encountered are refreshing as are his quiet acoustic interludes showcasing the evocative lyrics to key songs in ‘The River.” Rare period stills; shots of his original handwritten lyrics with edits on loose leaf paper; and concert, rehearsal and recording session clips and outtakes filmed during the period leading up to and following the album’s release counterpoint Springsteen’s recollections. The Ties That Bind will not only be fertile ground for musicians and fans familiar with Springsteen’s songbook, but also for budding music producers and lyricists and creative writers in general. Springsteen succinctly articulates the evolution of his lyrics and themes and the false starts that all led up to “The River” as we now know it. The pains he took to get everything, including the individual tracks and parameters of the album, just right define what it means to be an artist and not a hack with a short shelf life. Even if you know little about Bruce Springsteen, I guarantee that after viewing this film you’ll better appreciate his skills as a poet, bandleader and music producer; his respect for the footprint of his musical predecessors; his passion for social relevance; and the powerful resonance of his mature voice, as he sings solo with his acoustic guitar and a chorus of birds chirping innocently in the background. The latter musical interludes are priceless! This entry was posted in Cable, Film, Music and tagged Barbara Carr, Bruce Springsteen, HBO, Jon Landau, Music and Musicians, The River, The Ties That Bind, Thom Zimny. Bookmark the permalink.